With a collaboration between artists like this, you’re practically guaranteed a great listen. 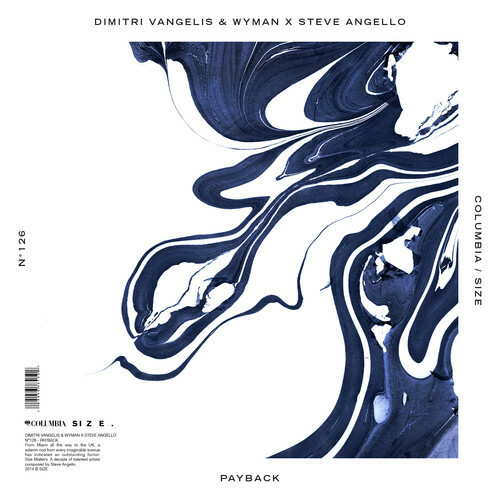 The talented Swedish pair Dimitri Vangelis & Wyman released Payback earlier last year on Steve’s own label, and proved its success as a crowd-pleaser at 2014’s Ultra Music Festival in Miami. Steve is renowned for signing incredible producers with creative and unique beats, so his work with the duo is quite the medley of fresh but cohesive sounds. Payback’s artwork, designed by Rebel Studios, features Size Records’ signature moving paint image. The paint is intended to represent the essence of the track, and the mixture of various shades of blue with clean white paint for Payback does just that. The song is upbeat enough to get a crowd excited, but has some cool relaxing tunes we’d like to see in more EDM tracks year! Have a listen.